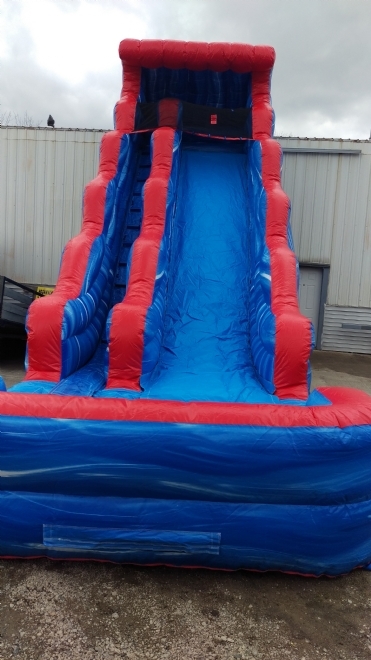 Our 22' Tsunami dry slide is a great option for your backyard party. It is as tall as it looks. Get ready for a great time with this slide.